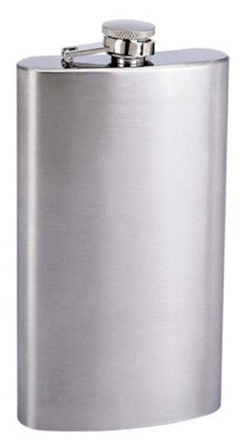 8 oz stainless steel flask with screw on cap. Individually gift boxed. I am very satisfied for this order and I receive my order really fast. Excellent product, inexpensive, well packed, and delivery was fast! Total Satisfaction!